performers have high emotional intelligence. 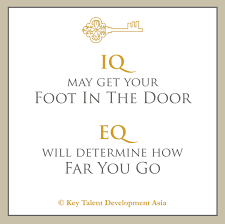 validated test, such as the one that comes with the Emotional Intelligence 2.0 book. hallmarks of a low EQ. These are the behaviour that you want to eliminate from your repertoire. to spot and tackle tough situations before things escalate. depression, substance abuse, and even thoughts of suicide. difficult and toxic people without creating enemies. are feeling, what caused it, and what you should do about it. they argue, ad nauseam, to support it. This is especially dangerous for leaders, as their under-thought. their thoughts time to develop and consider the possible consequences and counter-arguments. account the needs and opinions of their audience. and use this knowledge to sidestep situations and people before they get the best of them. emotions intentionally in the appropriate situations. emotional intelligence without even having to think about it. into 25 languages and are available in more than 150 countries.